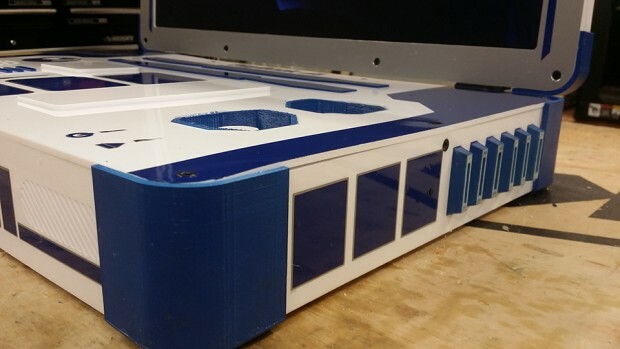 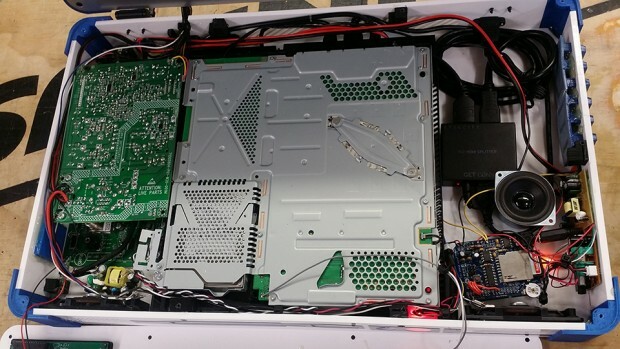 Ed Zarick made a name for himself cramming current gen consoles into a laptop form, but so far the case mods he’s done have basic decorative details, mostly the 3D printed corner pieces. 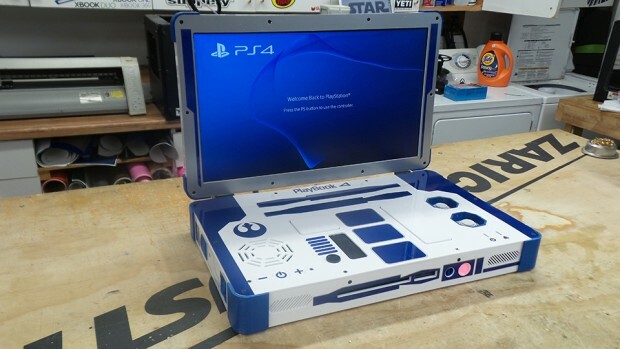 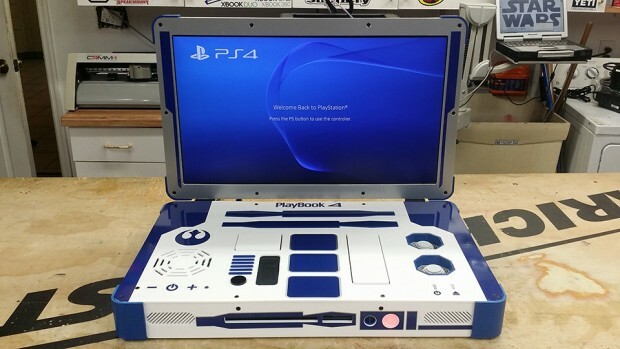 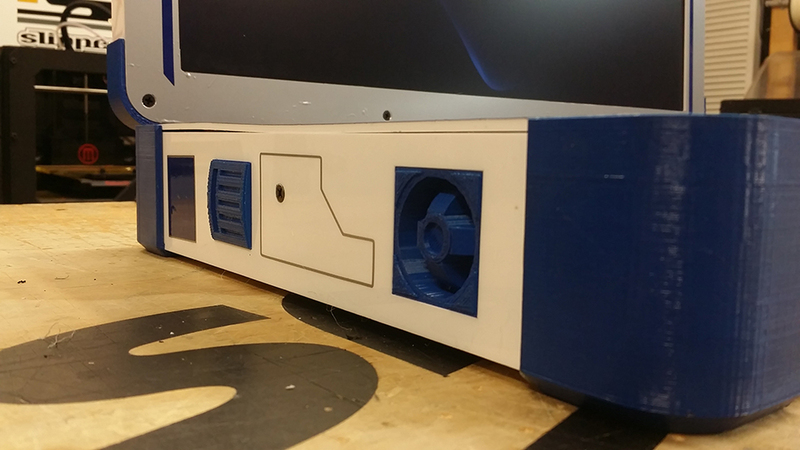 He must have realized that too, so he built this R2-D2-themed PS4 laptop to show off what he can do. 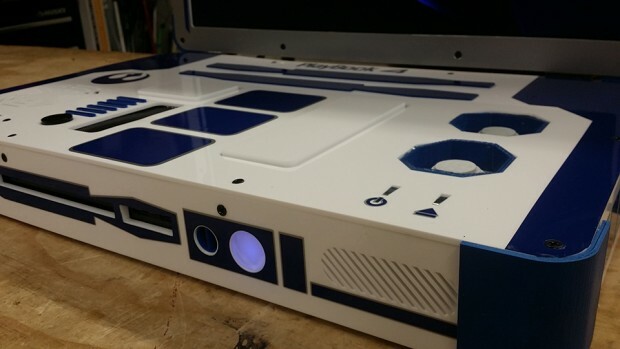 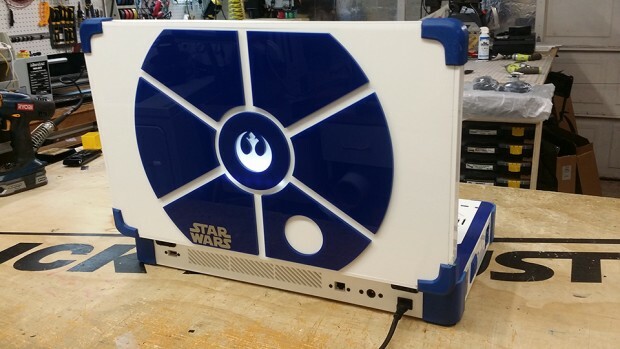 Instead of using decals, Ed filled the laptop’s case with 3D printed replicas of Artoo’s parts with the help of the guys at Astromech. 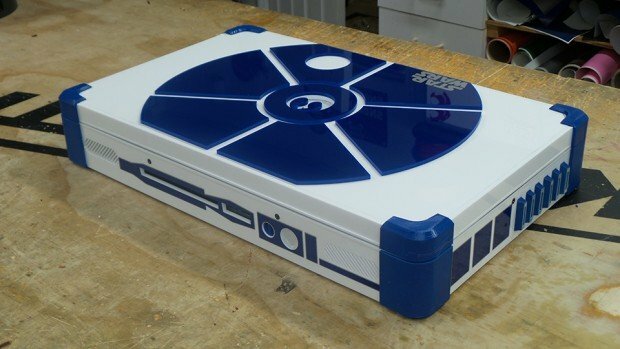 The R2-D2 specialists also helped Ed acquire the droid’s sound effects, which he loaded on an Adafruit WaveShield. Ed didn’t say if he’s selling this particular case mod, but you can contact him on his website for commissions.